Proofed and acknowledged by craftsmen. With the right equipment, you have your most important tools close to hand while at the same time reducing strain on your body. Scroll down to find our SNIKKI- guide. 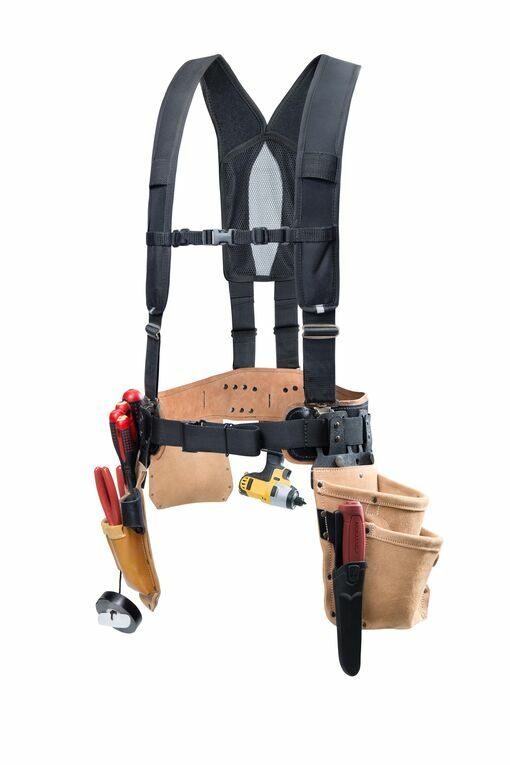 Choose between our originalbelts for carpenters, electrician, fitters, installers and sheet metal workers. Or do your own Ergo-belt with material pockets and tool holders you might need in your professional. Choose an Ergo belt, soft padded belt or a regular leather belt. For extra relief for your shoulders and greater comfort, combine with our tool braces. Place the part with snap fastenings over your belt. Press and then fasten on the back. The metal riverts should be visable if you have fastened the pouch or holder correctly. 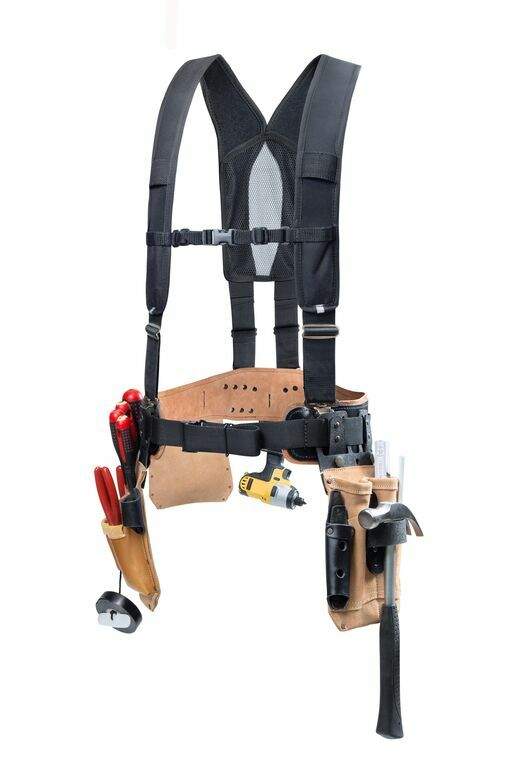 Combine our Ergo toolbelt with different pockets and wear it with our without braces. Belt with ergonomic design made in durable dirt and water repellent lightweight material. 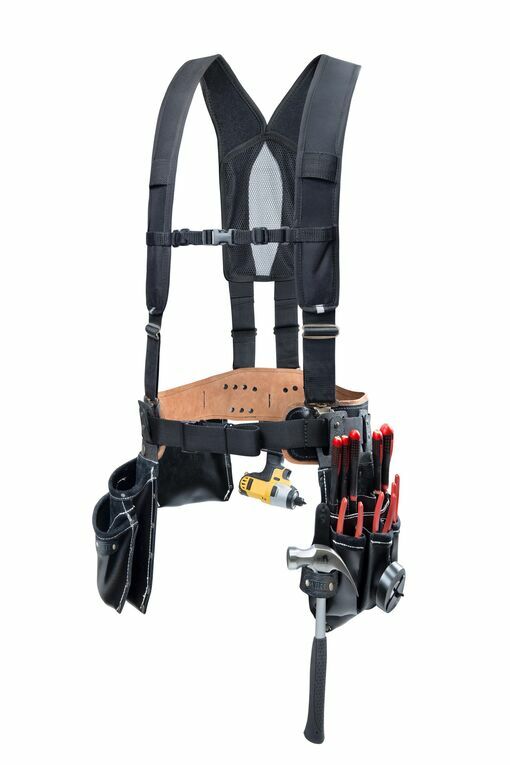 Wide comfortable shoulder strap and backrest with elastic straps, also in durable dirt and water repellent material. 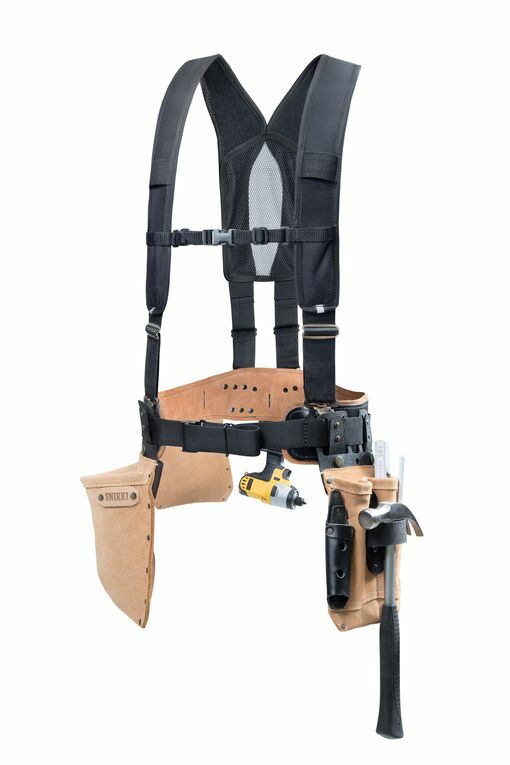 Tool pocket specially designed for carpenters, fitters and stand builders with 4 tool pockets with brackets and knife holders. Material pocket with two pockets for screws and nails. Material pocket suitable for nail and screw boxes. A stable pocket that makes it easy to lift in and out of boxes. Holder for laser meter or similar instrument. Lock with velcro closure. 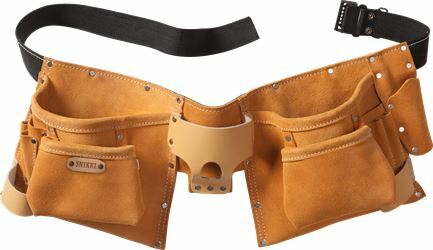 Belt with an outside of heavy duty leather, durable strap in nylon and metal buckle. The inside is made of soft leather that conforms to the body so no hard edges chafes and irritates. Wide and comfortable shoulder straps that will not slip off while kneeling. Provies ideal weight distribution and mobility. 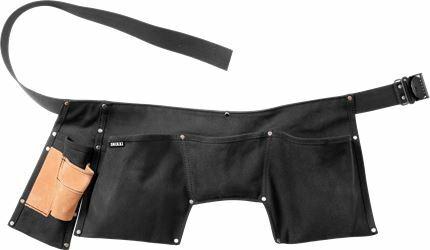 Tool pocket specially designed for carpenters, fitters, armor and stand builder with four tool pockets, hammer holder, knife holder and additional tool holder for eg Burton key. Material pockets with two pockets for nails and nails, and knife holder. 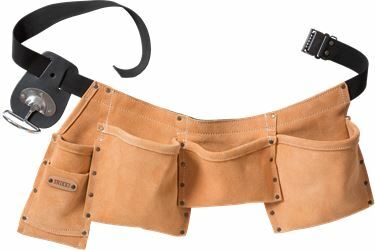 Tool pocket specially designed for carpenters, fitters, armor and stand builder with four tool pockets, hammer holder, knife holder and additional tool holder for Burton key. Material pocket with two pockets for screws and nails and knife holder. Material pocket for screw, bolt, nail etc. Belt with ergonomic design made in dirt and water repellent lightweight material. Wide comfortable shoulder strap and backrest with elastic straps, also in dirt and water repellent material. 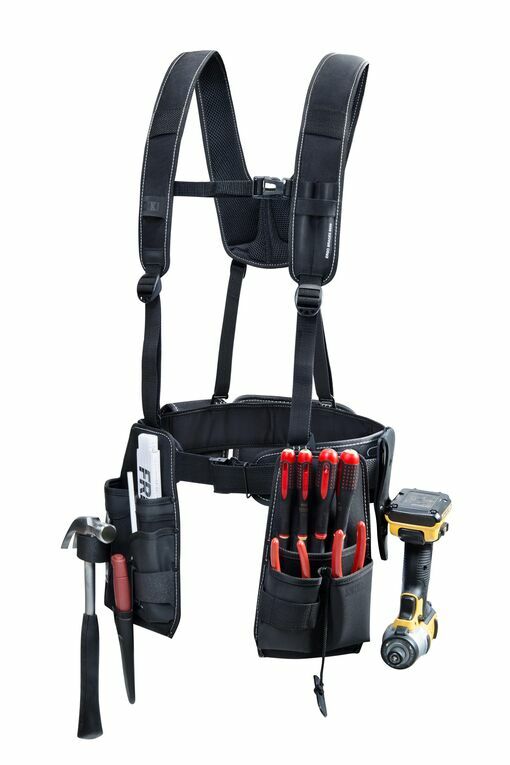 Toolpocket specially developed for electricians, with tool pockets, holders for screw drivers, and tape. Material pouch with two pouches for screws and nails etc. Holder for instruments e.g. laser measurement tool with flap and velco fastening. 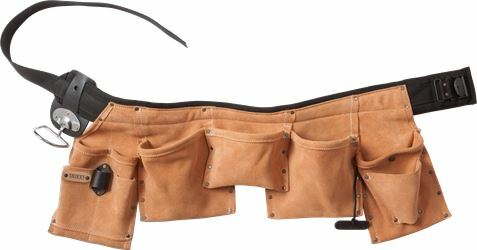 Tool pocket with pockets for screw drivers, pilers, cutters and nippers. 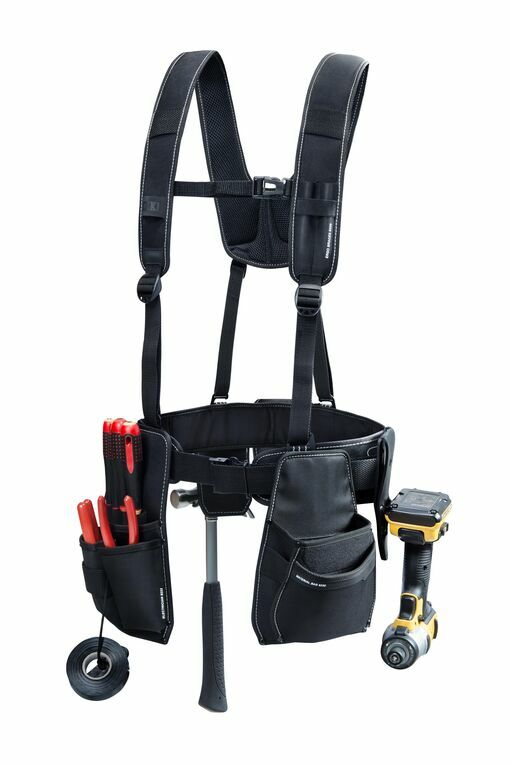 Tool pocket with holders for hammer, folding rule, pencil and angle iron etc. Tool pocket with holder for hammer, folding rule, pencil and angle iron etc. 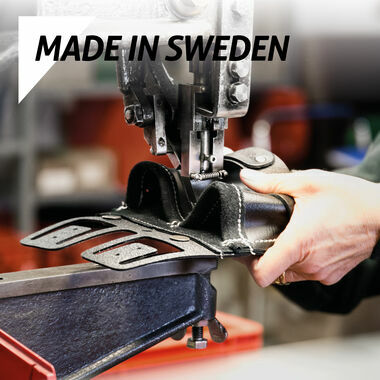 All our black toolbelts, material pouchers and holdera are made in Sweden. Theese products are made of specially developed soft leather that has a durable and water repellent surface. All our products are made of high-quality leather that stays soft even when it's cold. The inside is specially treated so it stays comfortable and does not chafe the hand. Our leather ergo belt has soft vegetable-tanned leather on the inside so it is comfortable closest to the body. 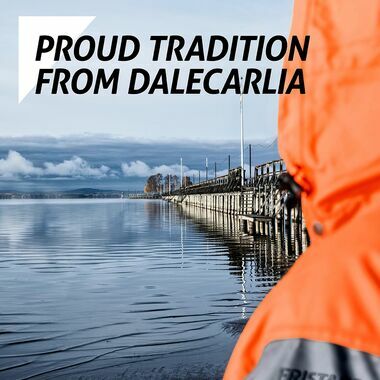 Just by Lake Siljan in Dalecarlia in Sweden, you will find the Snikki production site. 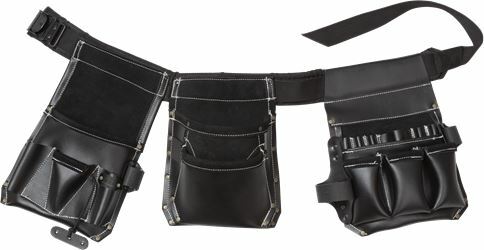 We have more than 50 years experience of making and creating tool belts. All our products are developed in close collaboration with craftsmen and high quality has always been our guiding star.